Welcome to Kid Lit Exchange! Welcome to Kid Lit Exchange from Kate Olson (aka The Loud Library Lady)! Finally, after 2 months of Kid Lit Exchange being in existence, we have our very own website – how exciting! If you are wondering what we are all about, I will tell you that we are a network of volunteer reviewers (over 130 reviewers at this time!) sharing galleys of children’s books (over 100 titles already!) and THEN I will tell you to go check out the other pages on this site to learn more. So much more there, I promise. 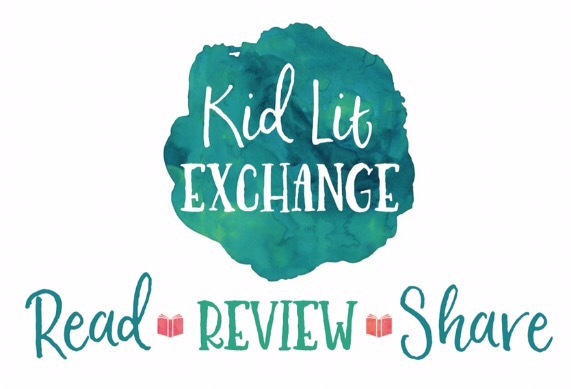 Our primary home is on the @kidlitexchange page on Instagram where all of our books are posted for reviewers to request, and our review links are shared on the @kidlitexchange Twitter page – we would love to connect with you there! This site serves as our home base, as well as our blog where we will feature one review post for each of the books in our network. We would love to have you subscribe – check out the buttons on the bottom of the site. One quick request before you go explore, though ~ I am collaborating on a Q & A post for Nerdy Book Club with Laura Gafrdner ALL about Kid Lit Exchange, and we would LOVE to ask and answer YOUR questions! Please leave your simple and oh-so-burning questions you would like us to address in that post in the comments here ~ we will be linking to the NBC post when it’s live so you’ll be sure to get your answers. Again, WELCOME! We can’t wait to show you the power of reviewers working together. So exciting Kate!!! Love being part of the #kidlitexchange community!! So excited about the new Website! Looks fantastic. So exciting!! Happy blog launch day! A question I have is… how do you get all of those ARCs for this awesome new project? So so so many of them come from YOU, Michele 😉 We will definitely cover that – thank you! Love being a part of KidLitExchange! What is your vision for it in a year or two or five? Great question Julie! Thanks for all of your help!! How exciting is this?!?! The site looks fantastic. I’m so excited to be a part of this network!!!! Excited to have you with us! And so grateful for your help! I love being a part of this! So exciting! The site is GORGEOUS, Kate!!!! You have done so much work and should be so proud of everything YOU have built! Thank you so so much! I’m so happy with Kristin’s designs! So exciting to see this wonderful platform grow! Yay! This is all so exciting! I don’t know how you manage to do it all with the start of the school year. I’m not a teacher or librarian, but this is my busiest season of the year for some of the other hats I wear, and I am burned out! So my question is how do you manage to fit it all in? Obviously you read really quickly, but posting so regularly is an awesome feat! The website looks AMAZING and as always, I’m super excited for all the great things that are happening with Kid Lit Exchange! Yay!!! This is so exciting!! I lover being a part of this program! Wow! How amazing! I am so excited for you and our book community. It is truly amazing what this has evolved into. I am happy to be a part of it. This looks AH-MAZING! Great work! I love being part of this amazing group! Everyone is so friendly! Amazing! How exciting! I love being a part of this group! Kate!! Oh happy day, you did it, the site looks fantastic! Thanks so much for all of your hard work. It’s all really happening! And getting bigger than I ever imagined. Take care of yourself, so glad you’ve already gotten a lot of help from fellow teachers & librarians. I’m so excited to be a part of this community! I’m excited to see so many children’s books. How do you become someone tonreview them?